Gosh, D.Gray-man Hallow, what a large amount of tonal dissonance you have. I mean seriously, what are you doing? No… Don’t…. Please… D.Gray-man! STAWP! Err… Ahem. 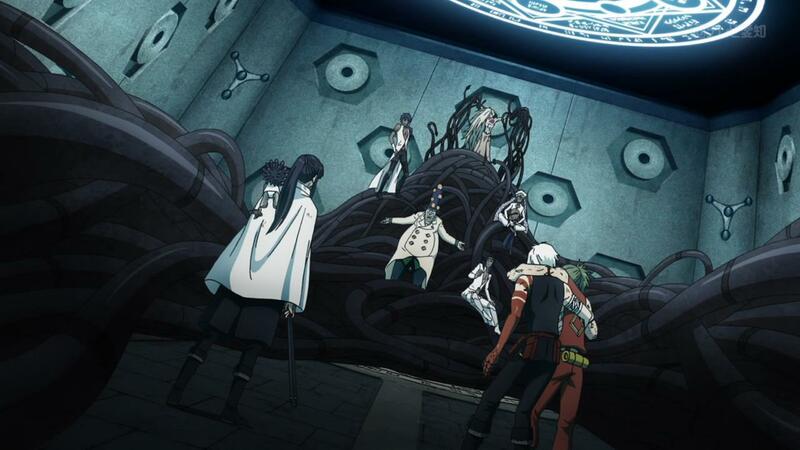 Its another week, and another episode of D.Gray-man Hallow. 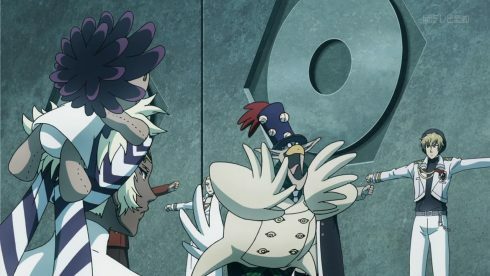 Not much has changed I’d say, in terms of the big picture regarding this show and its place in the current anime season. 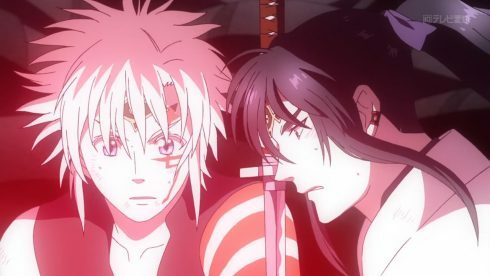 While Summer 2016 continues to be a stand out season, with thrilling and interesting series airing left and right, D.Gray-man Hallow is in its own little corner, doing its own weird thing. 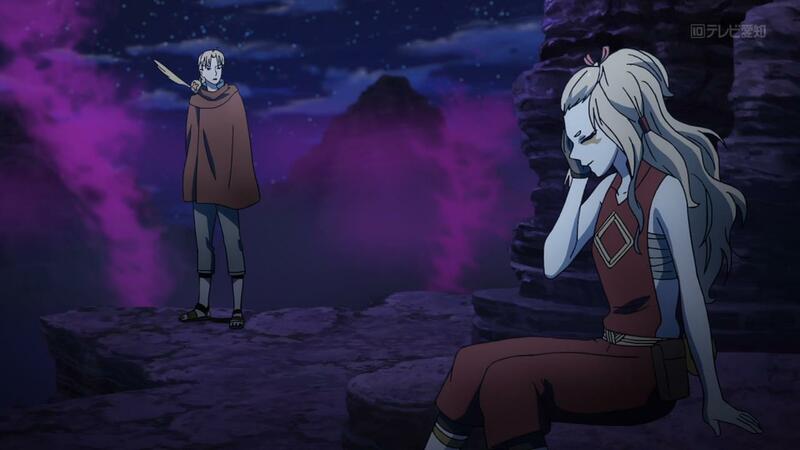 And that weird thing, is the same thing we’ve seen from this series in the last month or so. 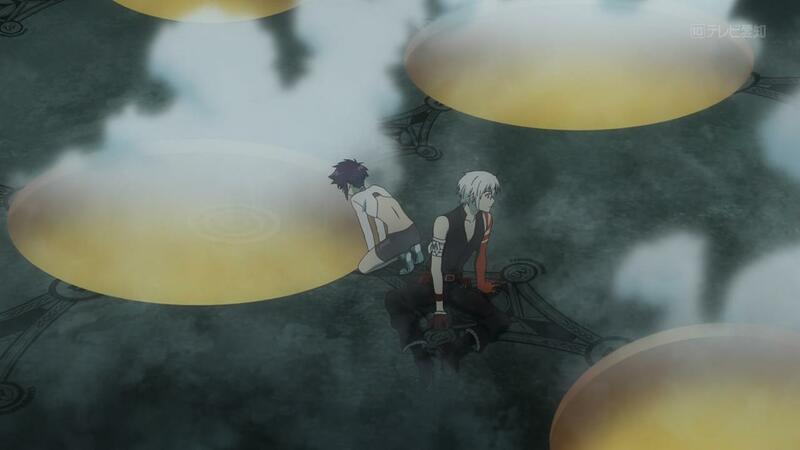 In a rather ironic twist of fate, the best word that continues to describe this series perfectly is “Hollow”. There just isn’t any emotion or excitement in this series at all. 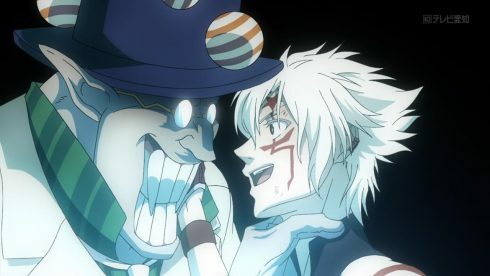 Its not just failing to live up to the franchise that spawned it, or to even provide a decent adaptation of its source material… No, D.Gray-man Hallow is failing to even remotely engage. 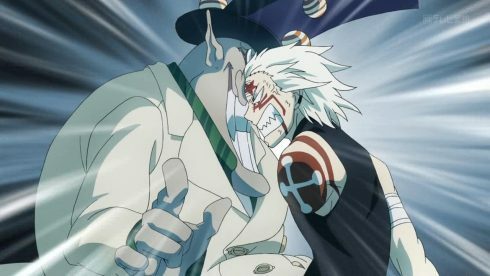 That’s happening after 5 whole episodes, and with the series having some fairly interesting material to work with, at that. 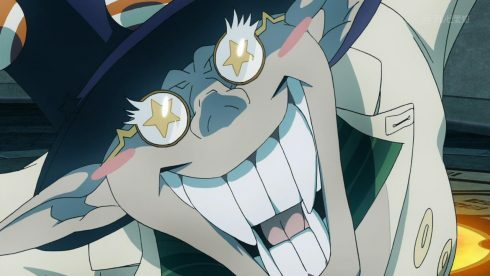 I’m actually going to keep my thoughts about this week’s events themselves, fairly brief, if only because that’s just the sort of reaction that this series is getting from me. What we actually have here, is a continued collection of baffling decisions that just seem to remove all immersion and emotion from the story. 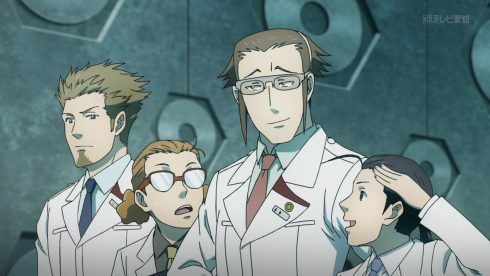 For example, I have absolutely no idea, whatsoever, why the series suddenly decided to focus the bulk of this latest episode on a bunch of the Science Division guys, rather than you know, Allen or Kanda. 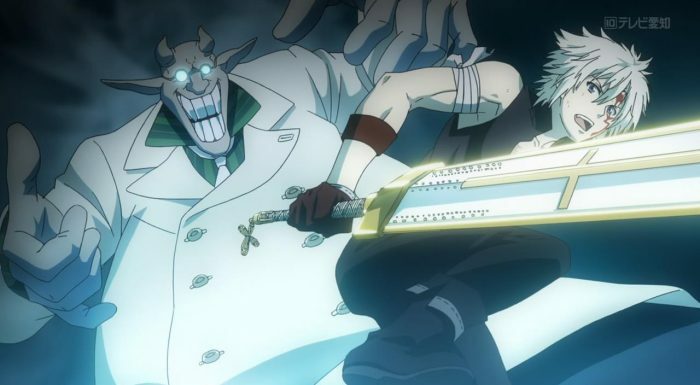 The shift in perspective and focus is jarring, while the fast paced storytelling itself keeps things equally hard to connect with or even follow. 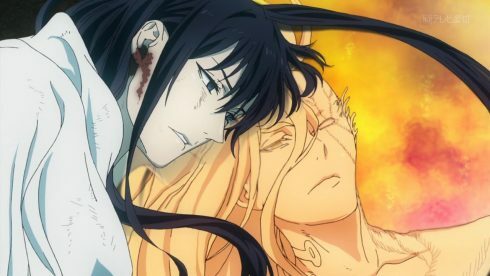 And the end result of all of that, is a situation where some truly interesting and emotional stuff happens on screen, but is hardly even able to grab the viewer’s attention. And I think a big part of that, more so than previous weeks, was most definitely the out of place comedy. One of the things that the original series and the source manga did so well, was balance the rather dark and bleak setting and story of this franchise, with some rather light-hearted and humorous moments. 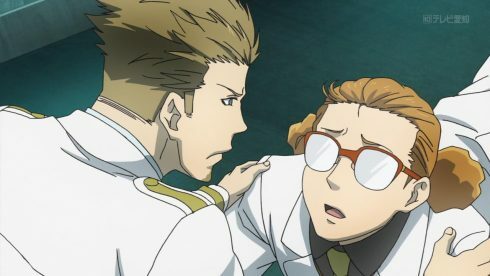 It seems like this week was an attempt to bring some of that back into the series. Attempt being the key word here. Instead of a balance of darkness and comedy, what we got instead, was as an exceedingly tone deaf performance that was neither funny, nor gripping. 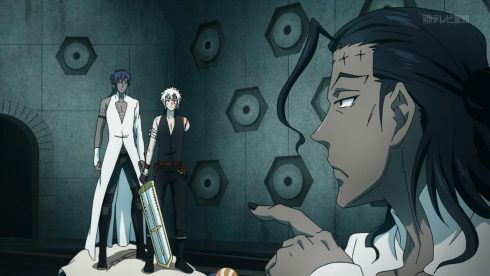 There are points in the story of D.Gray-man, where the anticipation and tension swell up quite a bit. In the anime, those moments are quickly just broken by some kind of weird comedic jab. 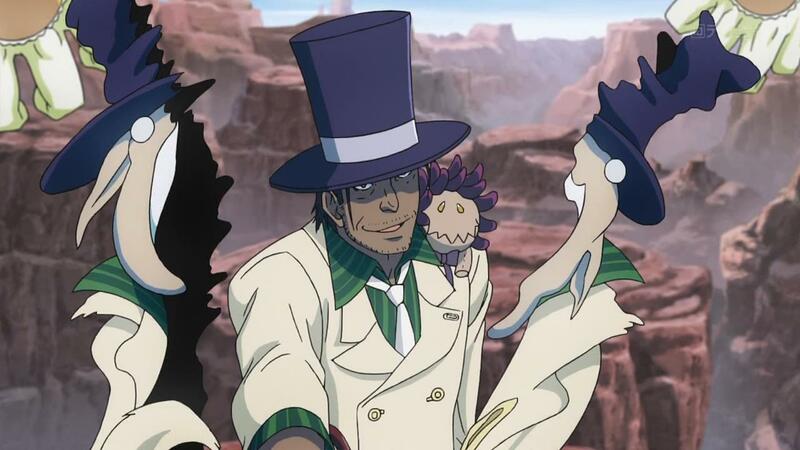 The Earl for example, had a very menacing, evil, almost joker-esque (from Batman) persona to him. 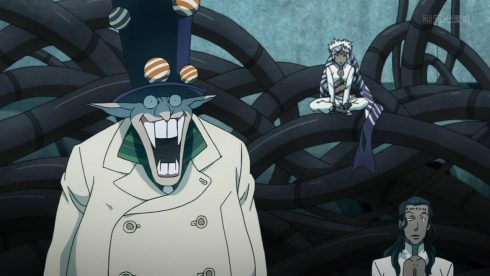 There was this sense of wicked glee, and a real presence to this franchise’s big bad that made him stand out, from all the other villains of his archtype. He was one of the franchise’s highlights. In this episode though? He became nothing more than a frigging cartoon, and one that’s more reminiscent of a Looney Toons character than something actually that would work in a dark, grim story like this one. 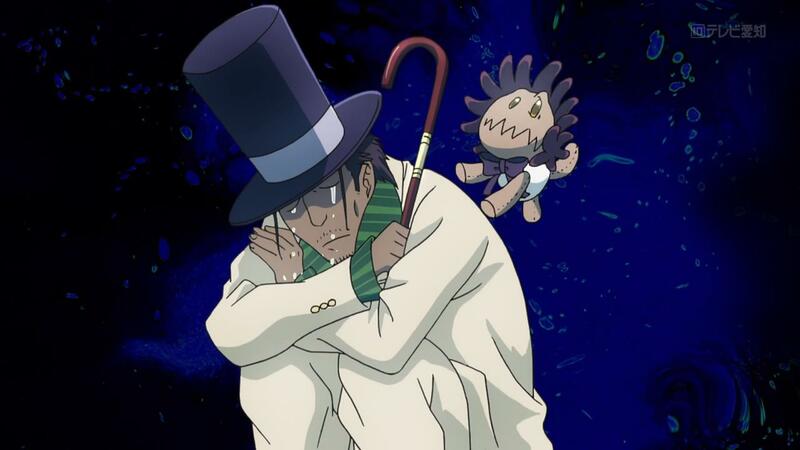 And its in every aspect of this anime, that the Earl is entirely ruined. The voice acting for the Earl is off, every scene that he’s in feels oddly animated and just plain weird. In fact, I’d go as far as to say that there’s just no sense of menace or foreboding to anything really. 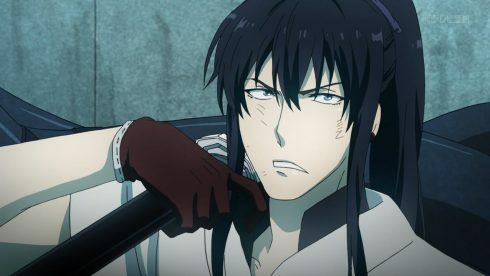 I mean, even the big backstory of Kanda’s, which was entirely and utterly dark and depressing in the manga, feels completely stale because of a friggin joke. The moment where Kanda learns about his former friend being alive? It’s undoubtedly supposed be a powerful moment. And if there was indeed any comedy in the manga, then it didn’t feel as jarring as it did here. Plus, the whole moment of the Fourteenth coming back? Man, did the anime just make that whole thing into a “brothers quarrel” punchline instead of a seminal moment. Its like the series is almost too afraid to commit to a particular vision, and instead just continues to flip flop between ideas and tone, as it jumps from plot point to plot point. 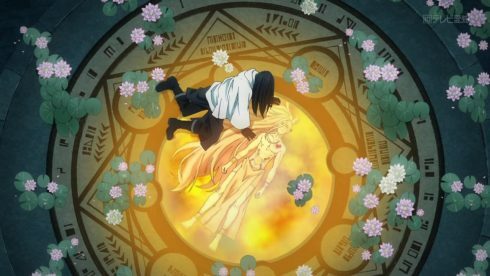 And its in this rather dazed, almost drunken-like storytelling, that the whole episode kind of just runs to its conclusion. At the end of the episode, Allen ends up in Kanda’s memory or the past, and its supposed to be this big shocking moment that’s going to lead into a deep dive of Kanda’s sorrowful past. 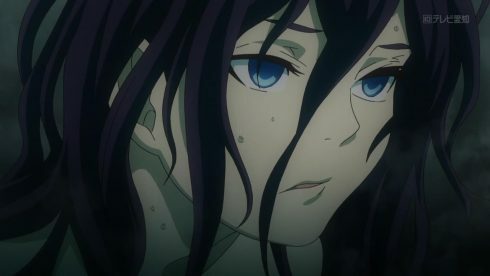 It doesn’t feel that way though, and it feels more like a leisurely stroll than the true start of a descent into despair that I remember the story to have been in the manga. 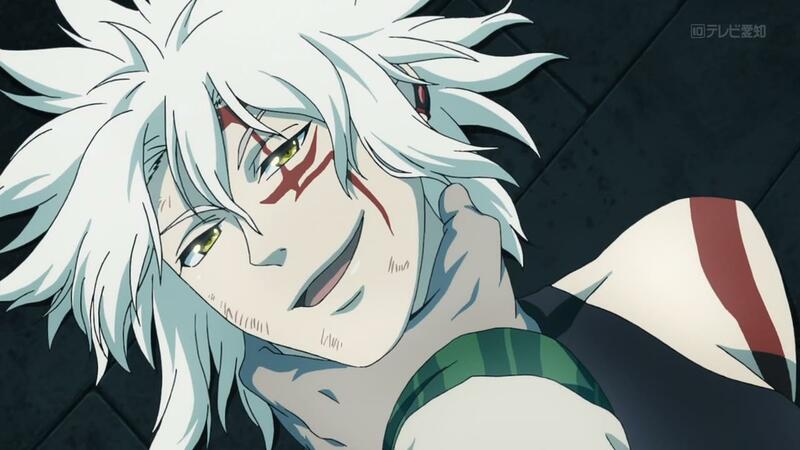 In the end, all I’ll say is that D.Gray-man Hallow is just failing at being anything other than mediocre. Its failing to capitalize on its very strong source material, which is shocking, because of the very subject matter that I continue to see misappropriated on screen, each week. 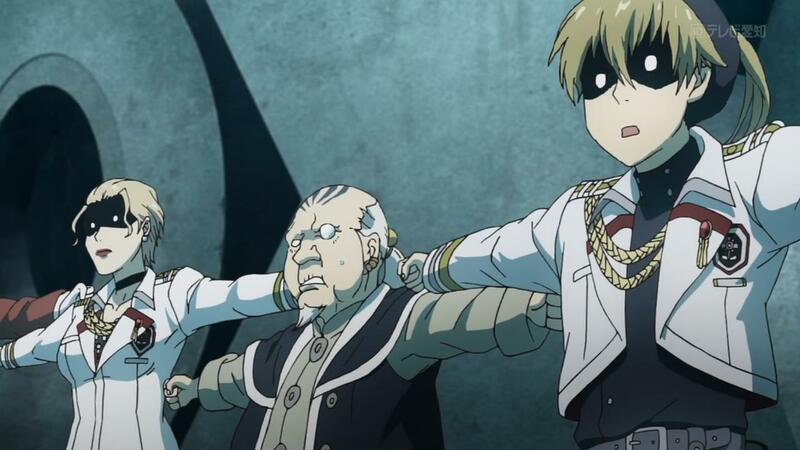 Its sad to say that even with the better animation budget, D.Gray-man Hallow just feels like a waste. Its actually even worse to me than something like Berserk, which is a good series to compare this one to. 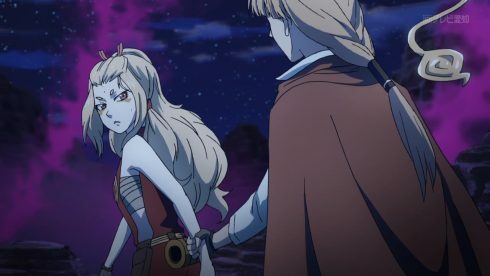 Berserk’s latest anime series has its own problems, but misrepresenting the source material despite its hamstrung budget, is not a sin that even that series has committed. That dubious honor, it seems, has been solely reserved for D.Gray-man Hallow this season. With the misplaced tone, the lack of balance, and the failure to really just be interesting, I’m just at a loss for what more to say. D.Gray-man Hallow, the series, feels like a bad filler episode, and it feels that way when its got some of the strongest parts of its source material. That, in itself, is just kind of amazing, and not in a good way. At this point, the only reason I continue to watch and blog this series, is because I still can’t quite understand how this series continues to be as “meh” and as “shallow” as it is. 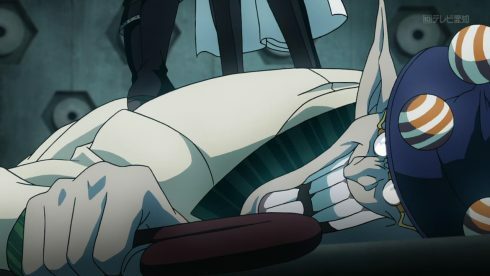 My interesting in this show, is at this point, purely academic, and that’s a sad way to look at a piece of entertainment.